This was my first cast study done before I began learning traditional drawing techniques under the tutelage of Paul Ingbretson. I had no help with this, it was my idea to correct mistakes with white chalk. It took a week to complete, and Paul chuckled in a good natured way when he saw it, saying he wished his other students would be a little more creative when it came to correcting their work. 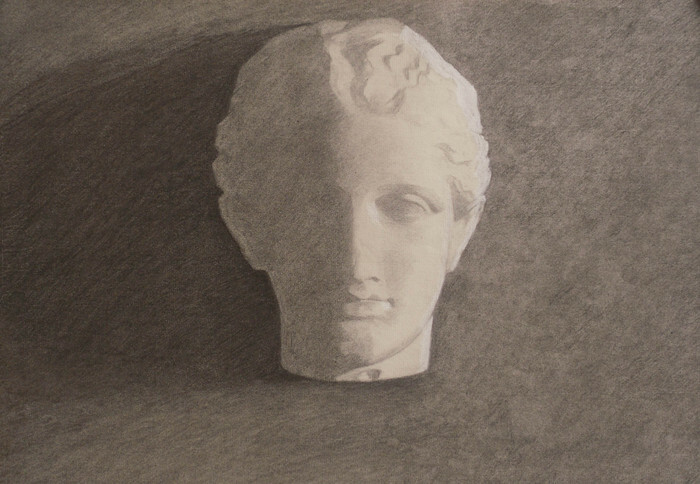 I would eventually learn how to protect the paper so I could do all the work with charcoal and eraser.